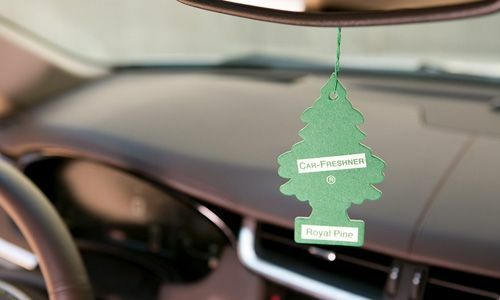 Julius Samann, the inventor of the tree car freshener, first had the idea to make his freshener after a conversation with a trucker carrying milk. In fact, the stench of the spoiled milk spills was particularly nauseating for the trucker. As a chemist, Samann, who had studied the odour of the tree oils in the Canadian forest, used his knowledge to create a smell and patented his invention. At that time, the freshener took the form of oil coated in cellophane, which was hung with a piece of string on the mirror. Eventually, he used the shape of the pine, as much for its design as for its utility. Now, several choices of odours are offered to customers, from the classics to the most eccentric.